So, you just bought a shiny new wireless router. Maybe you got it as a gift, or you just decided it was time to upgrade to a new one. Whatever the case may be, there are a few things you should do to make it more secure as soon as you get it out of the box. As soon as your prompted by your new router's setup routine, make sure you change your router's admin password and make it a strong one. Using the default password is a horrible idea because hackers and pretty much anyone else can look it up on the router manufacturer's website or on a site that lists default password information. When you bought your new router, chances are, it may have been sitting on a store shelf for quite some time. During this time the manufacturer may have found some bugs or vulnerabilities in the firmware (software/OS that it built into the router). They may have also added new features and other upgrades that may improve the security or functionality of the router. In order to make sure that you have the latest and greatest version of the router's firmware, you'll need to check your router's firmware version to see if it is current or if there is a newer version available. Follow the manufacturer's instructions on how to check the firmware version and how to perform a firmware upgrade. When you set up your new router, you may be prompted to choose a form of wireless encryption. You should avoid the outdated WEP encryption, as well as the original WPA. You should opt for WPA2 (or whatever the most current form of wireless encryption is). Choosing WPA2 will help protect you from wireless hacking attempts. Check out our article on how to enable wireless encryption for full details. A strong wireless network name (SSID) and a strong wireless password is just as important as a strong router admin password. What is a strong network name you ask? A strong network name is a name that is not a default set by the manufacturer and is also not something that is commonly found on a list of most common wireless network names. If you use a common network name, you may be leaving yourself open to Rainbow Table-based encryption attacks that might allow hackers to crack your wireless network password. A strong wireless network password is also a crucial part of your wireless network's security. Check out our article on how to change your wireless network's password for details on why you need to make this password a complex one. Odds are pretty good that your new wireless router features a built-in firewall. You should take advantage of this feature and enable and configure it to protect your network. Make sure to test your firewall to ensure that it's working after you have set it up. 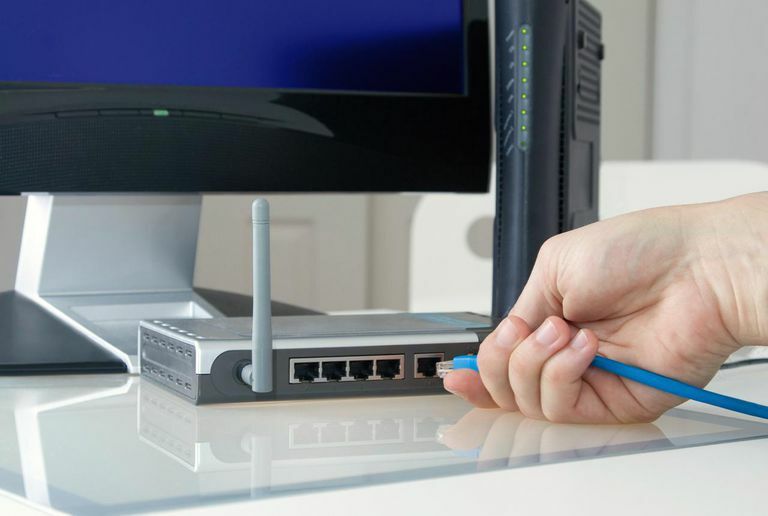 Some routers have a 'Stealth Mode' that helps to make your router, and the network devices behind it, less conspicuous to hackers on the Internet. Stealth mode helps to hide the status of open ports by not responding to requests sent by hackers to check for the presence of open ports that might be vulnerable to attacks. To help prevent hackers from doing a 'drive-by' wireless attack where they pull up nearby and attempt to gain access to your router's admin console, disable the "Admin via Wireless" option on your router. Turning this off makes your router only accept administration via one of the Ethernet ports, meaning that unless you have a physical connection to the router then you can't administer it.